I cut the top off a beer bottle, ground the sharp edges, and filled it with phthalate free bacon scented soy wax and topped it with a lead free wick. 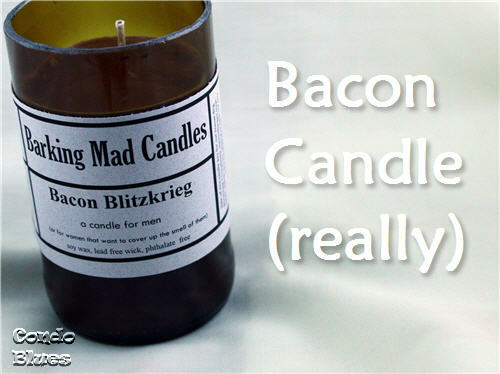 I floated the idea of a bacon candle to my foodie friends during a Monday Foodies Nite In Twitter chat (Join us! Please?) They went bonkers for it. No surprise there because bacon always comes up during the chat no matter what the weekly party topic. I don't understand it, but people really love their bacon. I made soy beer candles, crème brulee candles, and campfire candles so my bacon candles would not feel lonely in our Blitzkrieg Cancer Treatment Fund booth at the Pet Promise Rescue Run. After the candles cooled, I realized I needed a label. Then I realized I needed something to put on the label. Think. Think. Thinkidy think. 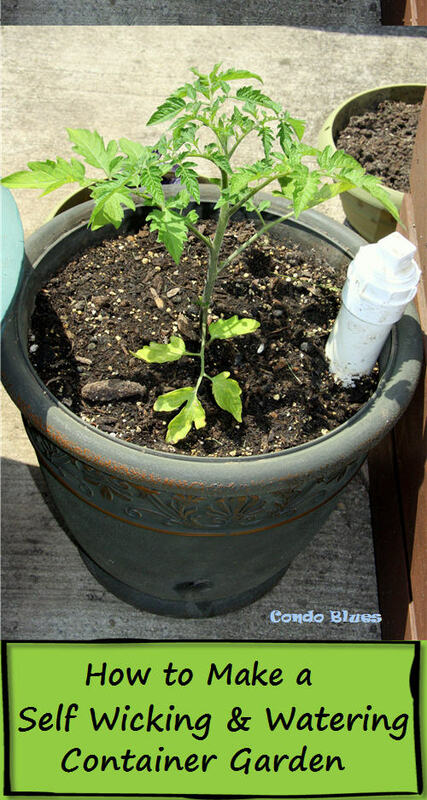 I use soy wax, a lead free hemp wick, and phthalate free scents in my candles. The raw wax is kosher but I think using other oils to create a bacon scent cancels out the kosher. Whoops. I named our candles Barking Mad Candles A Candle for Men (and for Women Who Need to Cover Up the Smell of Them) since I went with guy scents. 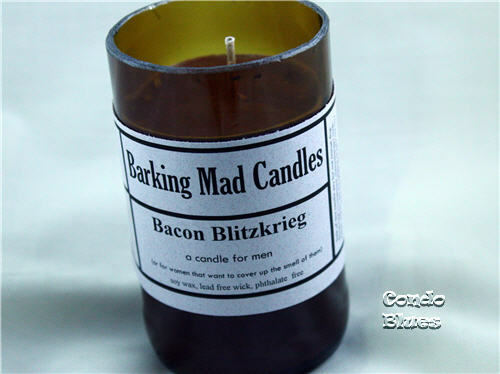 Barking ties into Blitzkrieg and that I am selling the candles to pay for his cancer chemotherapy treatments. Barking Mad describes Husband and I to a T. It allows me to have some fun with the candle names since the reason why I am making the candles is so serious. Bacon Blitzkrieg – named after Blitzkrieg. This is his favorite scent. Seriously. I also made braided fleece dog chew toys and t shirt shopping bags. I used the sleeves from the t-shirt bags to make braided t shirt bracelets that remind me of the sailor knot bracelets I wore every summer growing up. 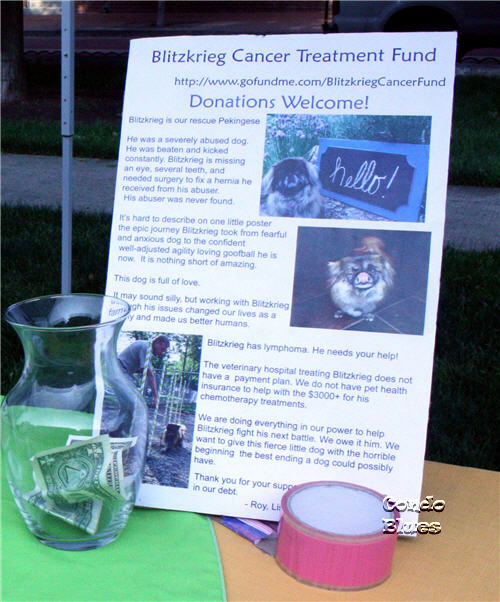 The centerpiece of the booth was Blitzkrieg’s story and the url to the Blitzkrieg Cancer Treatment Fund Donation page. I wrote it from my heart. For those who didn’t want to buy our wares, we took donations to help pay for Blitzkrieg’s medical bills. Despite the low crowd due to the 92 degree heat , Husband and I had a good time. Although I think it was weird for him to attend a 5K and not actually run it. We took in as many donations as we had sales. We sold a little bit of everything. Whew! I had visions of things not appealing to anyone. 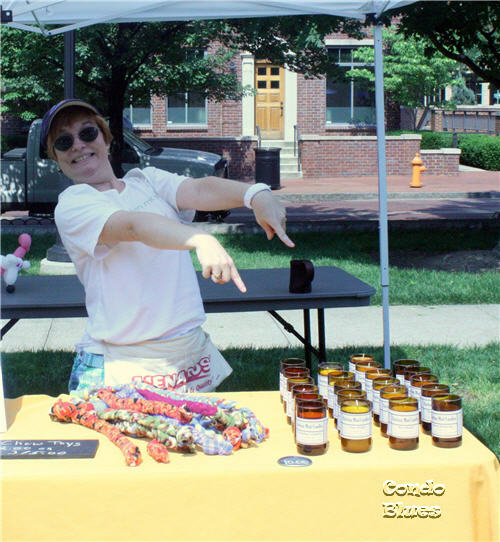 I am such the serious entrepreneur - ha! 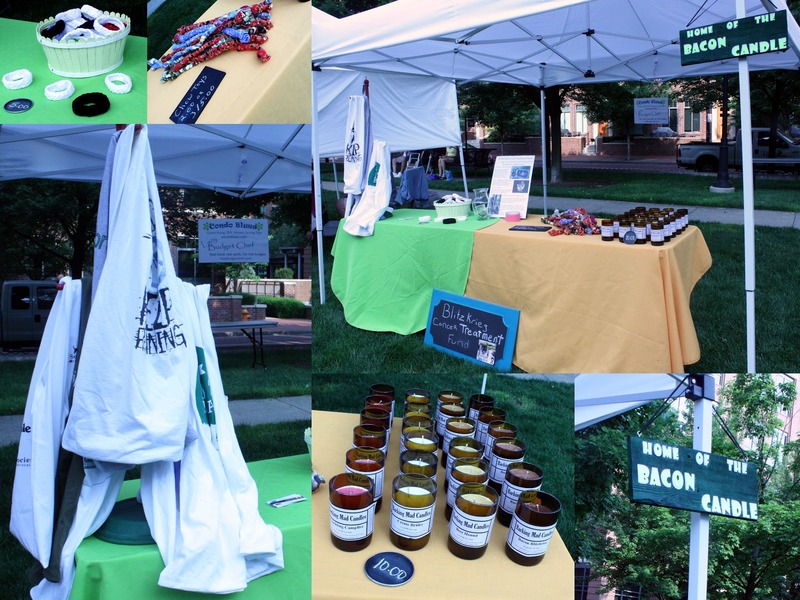 We made back our initial small investment for the candle supplies (I already had the supplies for the other items we sold) – not bad for a four hour event! Our success was truly a family effort. I made everything, including the signage for our booth. Husband was amazingly supportive since I dove into this venture before discussing it with him first (oopsie.) Even though crafty things are not Husband’s thing, he volunteered without pressure from me to help set up and staff the booth. Blitzkrieg supervised the production of all the goods sold. He let us borrow his travel dog dish so we had water (and a draw) for all of the dogs at the event. 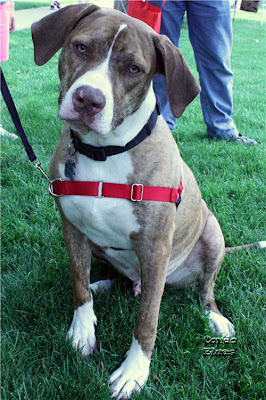 Unfortunately, Blitzkrieg is a little anemic from his meds and it was too hot for him to attend the event in person. Husband encouraged the Home of the Bacon Candle sign. It makes us laugh but it worked. It brought curious people over to our booth. Thank you Mira! And bonus points for me for returning her to her parents without any pieces or parts missing. The worst that happened to her is a tummy full of the dried pears and currents I brought with me to snack on from a sample Naturebox I received for review. 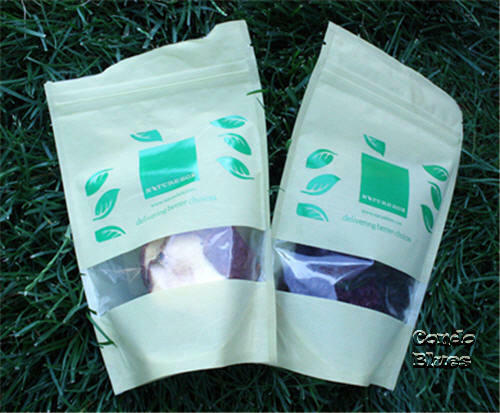 Naturebox is like a CSA of artificial flavoring, coloring, and preservative free snacks that didn't melt in the heat. They are pretty darn tasty. I almost had to wrestle the bag out of Mira's little hands. Then I realized I was an adult authority figure (bawhaha! I know!) and told her we had enough for now. We got to meet their newest family member Cosmo! 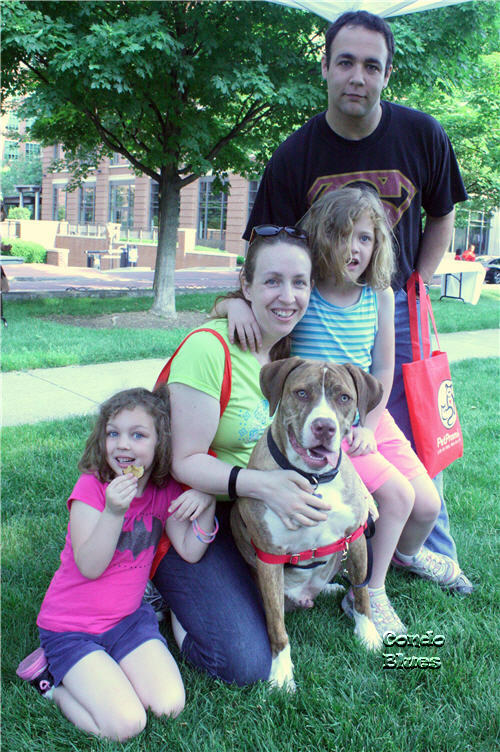 Christina's family adopted Cosmo from Pet Promise. He is such a sweetie. I learned everything I know about posing for pictures from my friend Blitzkrieg. Our booth neighbors were so nice and gave us advice on upcoming dog events and craft fairs around town. Since we have inventory left we’re going to try it again. If the candles sell well, we’ll consider making and selling more elsewhere. Do you have any advice for us? We’re very new to this craft booth thing. Lisa, please let us know before your next event. I'm sure some of us would love to come by and say Hi and purchase some goodies to help B. New follower from Happy Hour.. 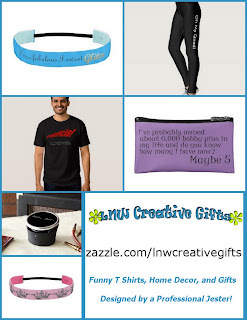 I am hosting a favorite product hop right now. Love for you to link up a review... Look forward to following you! Lisa, I love the bacon candle idea! The table looked great, and I'm glad you got to raise some money for sweet Blitzkrieg. Oh my gosh! GREAT idea and yes: I don't get the bacon thing either :) Just tried chocolate bacon and it was just ok. Give me straight chocolate anyday!! Go you! 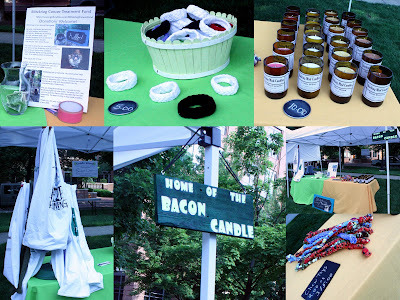 I love the idea of bacon candles - so fun and unique and definitely something with a market. Figners crossed future fairs go even better. I know our local art fair had similar issues, as it was 96 here most of the weekend. I can think of at least a dozen people who would buy these candles. Let me know if you sell them online please. 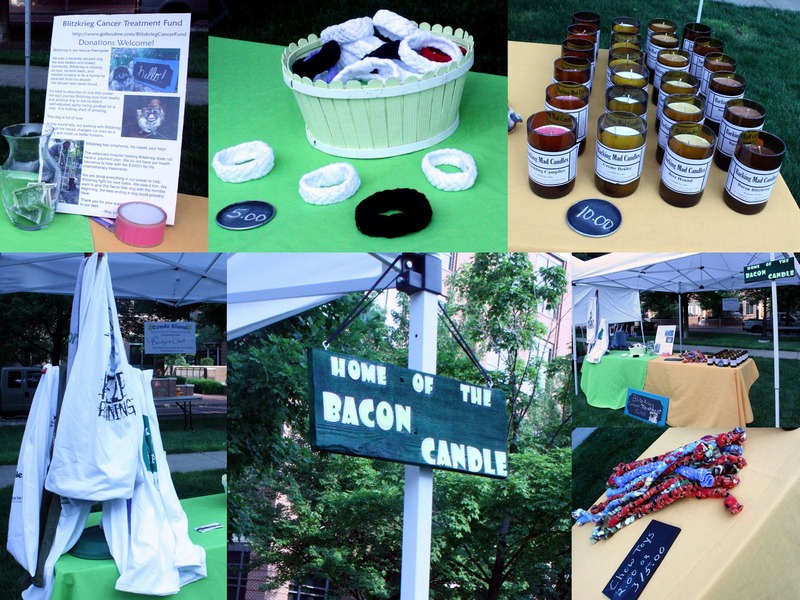 I love the bacon candle and love how you used it to raise funds for your puppus! Thanks for sharing on Tout It Tuesday! i also shared it on facebook.